Since A Second Cup of Hot Apple Cider: Words to Stimulate the Mind and Delight the Spirit was released in May, the anthology’s 37 writers have participated in more than 150 readings and signings in seven provinces. This all-Canadian book, which is receiving five-star reviews, is an inspirational collection of stories by writers who share a Christian faith perspective. It contains short fiction, poetry, and personal experience articles, all chosen to provide hope and encouragement. The contributing writers have held launch events at venues ranging from bookstores, public libraries, churches, and conferences to farmers’ markets, craft shows, summer camps, and apple harvest festivals. The authors are carrying out promotional events throughout autumn—the perfect season for relaxing with a heart-warming book while enjoying a cup of hot apple cider. I’m the sole Nova Scotian contributor to this all-Canadian anthology, and I love being part of this team of writers from coast to coast. And I cannot say enough good things about our editors, N.J. Lindquist and Wendy Elaine Nelles, whose attention to detail goes above and beyond reasonable service. Everyone involved in the Hot Apple Cider anthology series is a member of The Word Guild, a national association of over 400 Canadian writers and editors who are Christian (www.thewordguild.com). Editors N. J. Lindquist and Wendy Elaine Nelles co-founded this organization in 2001. The first book in this groundbreaking series, Hot Apple Cider: Words to Stir the Heart and Warm the Soul, has nearly 45,000 copies in circulation. A Second Cup is well on its way to bestseller status as well. The books are published in Canada by That’s Life! Communications. A Second Cup of Hot Apple Cider and Hot Apple Cider are available through most bookstores and other retail channels, and make ideal choices for Christmas gift giving. 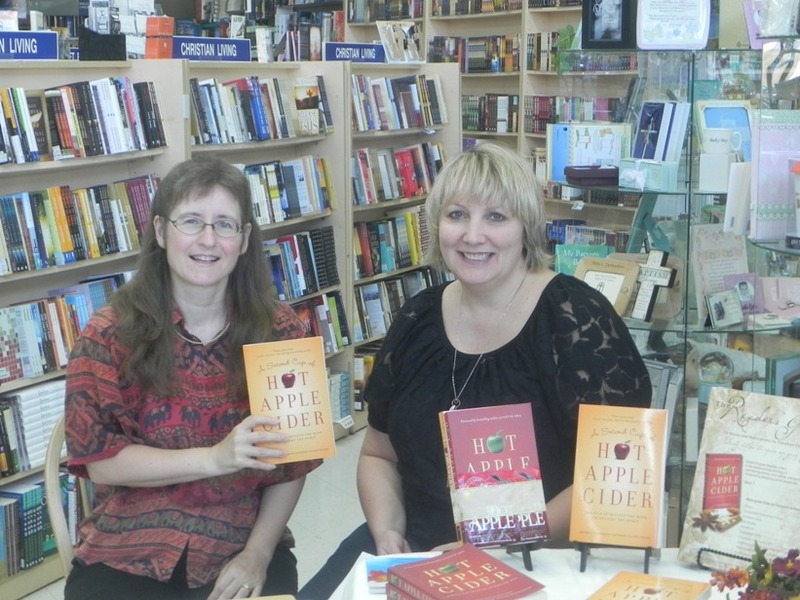 To find out about upcoming author events in your area, or to download free Study Guides for book clubs and discussion groups, visit http://hotapplecider.ca. This entry was posted in Writers and Books and tagged A Second Cup of Hot Apple Cider, anthologies, Canadian authors, N.J. Lindquist, The Word Guild, Wendy Elaine Nelles on November 11, 2011 by Janet Sketchley.